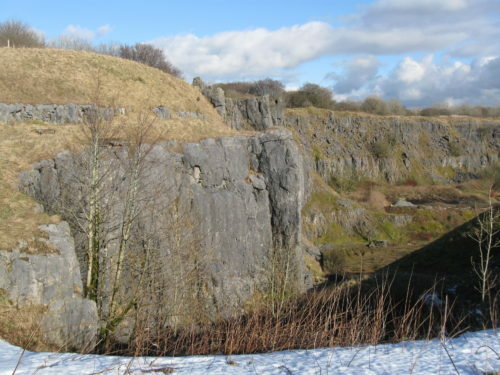 Limestone has a multitude of uses (as we will discover next week) but in order to make use of it, the limestone needs to be removed from the ground. This is usually done by quarrying. The rock is dug out from the surface gradually creating a bigger and bigger hole, often surrounded by cliffs. 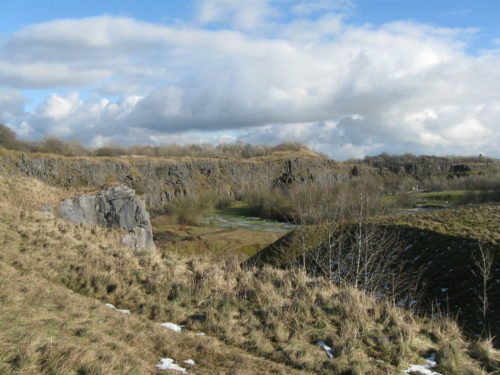 A quarry is a controversial addition to a scenic limestone landscape. It is likely to result in more traffic, as well as creating dust and noise. But on the plus side, roads may be improved and jobs become available. The workers are likely to spend some of their wages in other local businesses too. The visual impact can be reduced by screening with trees while the quarry is worked, and then replanting and landscaping after the stone has been removed. The land may then be left for nature to reinvade or it might be put to use in another way. 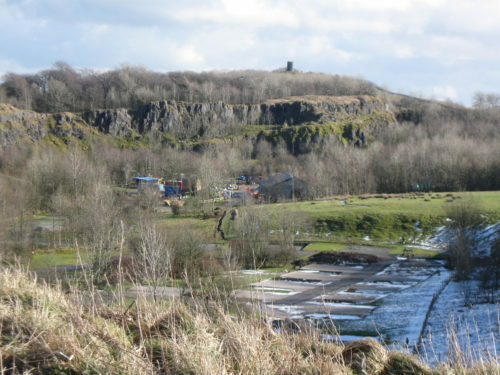 My picture was taken in winter, but the base of this old quarry is a busy caravan site in summer. A nicely sheltered spot, on what would otherwise be an exposed hill top.